Event management company in Dubai is defined as companies promoting and executing their business events, or who are contracted by third parties to design and manage business events. First, you have to find the type of events you can organize in this business; either you are planning for conducting a large scale event, small scale event, a launch or promotion or even a conference. 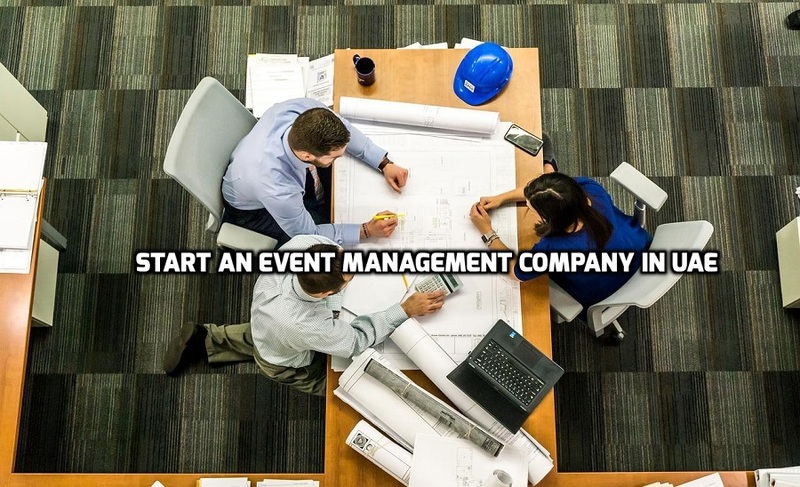 To setup your event management company in Dubai, first you have to decide your business activity and where you want to start your event management company on the UAE Mainland or Free zones. To start an event management company in free zone, you have to find one that matches your business. There are various free zones in UAE such as Fujairah Creative City and also the Dubai World Center that are by this time home to event management companies. If you have decided your free zone where you can start then send an application form along with relevant documents such as passport copy and visa copy to the relevant free zone authority. Note: Expat starting a business in a UAE free zone do not have need of a local sponsor and will hold 100% ownership. But free zone businesses are limited in where they can grip events and exhibitions. Any business setup in UAE free zone need to apply for a permit from every single place; they work with and they cannot hold events in open spaces for example beaches or parks. When starting a Business on mainland, the process is same like freezone. However, rather than applying to a free zone authority, you can apply for Event Management License directly to DED. Note: Mainland business in the meantime only needs to apply one time to the Department of Tourism and Commerce Marketing (DTCM) and then you can usually embrace events all over the UAE at that time. Following are the Allowable activities and Non-allowable activities to hold a Free Zone Event management license? You can organize manage; as well as encourage gala events, award ceremonies; conventions, product launches, conferences, meetings, seminars and other business-related events; through an Event Management License in Dubai. Must only start up hotel reservations for the attendees of the Event; as hotel bookings are in stern and from side to side relation with the Event. Encourage and sell tickets for Event. Carrying out any civil / construction workings (for e.g building stages, scaffolding, exhibition stands or any extra construction work). Trading activities (also include import and export of products). Establish and sponsor events lacking the approval of the appropriate authorities. What are the benefits for setting up an Event management company in the UAE? Flexible visa options – Basically, event management business owners can apply for unlimited visas. Office space requirements – On the free zone, there is often no requirement to take on office space and, on the mainland, however, office space is required. Sponsor dependent’s – An event management license doesn’t just make it possible to obtain visas for you and your employees, it also makes it easy to sponsor dependents for their residence visas too. Multiple Shareholders – It is possible to setup your event management business with multiple shareholders (both individuals or corporate entities). Low cost to setup– Setup cost for Event Management Company in Dubai is very low.